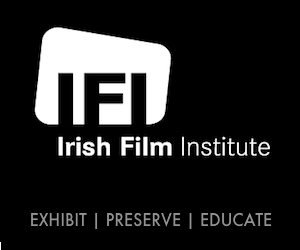 One of the most popular events in the Irish film calendar, IFI Horrorthon, returns from October 26th to October 30th. Showcasing the very best in Irish and international horror, this year’s festival promises to be yet another thrill-filled, blood-soaked season! Highlights of this year’s slate include the opening film, Tyler MacIntyre’s Tragedy Girls, in which two teenage girls turn to serial killing in order to increase their social media following; MacInytre will visit the festival to participate in a post-screening Q&A. This year’s closing film is the Vietnamese horror The Housemaid, directed by Derek Nguyen, which focuses on a maid who, after falling in love with her employer, awakens the anger of his late wife’s spirit. Among the filmmakers from last year’s festival to make a welcome return to the 2017 edition are Simon Rumley, director of Johnny Frank Garrett’s Last Word, who returns with Fashionista, while Irish director Jason Figgis, of Don’t You Recognise Me? fame, will screen his latest feature, Torment. Starring Bryan Murray, Bill Fellows and Cora Fenton, Torment sees a man buried alive in punishment for a heinous crime while a couple struggles to come to terms with a dreadful loss. The horror world lost two giants in George A. Romero and Tobe Hooper this year and, as such, it is fitting that their influential work sits alongside that of newer talents. The festival will screen Romero’s The Crazies and The Dark Half on Friday, while Saturday afternoon will see a matinée screening of Hooper’s Eaten Alive. Festival favourite the Surprise Film will also return this year in its regular Sunday night slot; last year’s film was the critically acclaimed gothic chiller The Devil’s Candy, directed by Sean Byrne. Previous Surprise Films have included classics such as The Witch, The Others, The Machinist, and Paranormal Activity. This year’s festival will feature two anniversary screenings: on Saturday night, HORRORTHON will celebrate the twentieth anniversary of Paul W.S. Anderson’s Event Horizon, while on Sunday, the festival is pleased to present a thirtieth anniversary screening of Alan Parker’s Angel Heart, starring Robert De Niro and Mickey Rourke. Also showing throughout the weekend will be the new film from the directors of horror hit Spring, Justin Benson and Aaron Moorhead’s The Endless, alongside Psycho documentary 78/52. HORRORTHON is delighted to welcome director Simeon Halligan, producer Rachel Richardson-Jones, and actor Elliot James Langridge to the festival screening of Habit. Habit is a gritty British horror which centres on a man who witnesses a brutal murder. Individual tickets for HORRORTHON films are on sale now in person at the IFI Box Office, by phone on 01-6793477, or online. Multiple film deals are available priced at €45 for 5 films, or €80 for 10 films, while a range of passes ranging from one- to five-day passes are also on sale either in person at the IFI Box Office or by phone.